Almost everything Callie's family owns is spread out in their front yard -- their furniture, their potted flowers, even Callie's bike. After a job loss in the family, money is tight; they can't stay in this house, so they're moving to an apartment in the city. 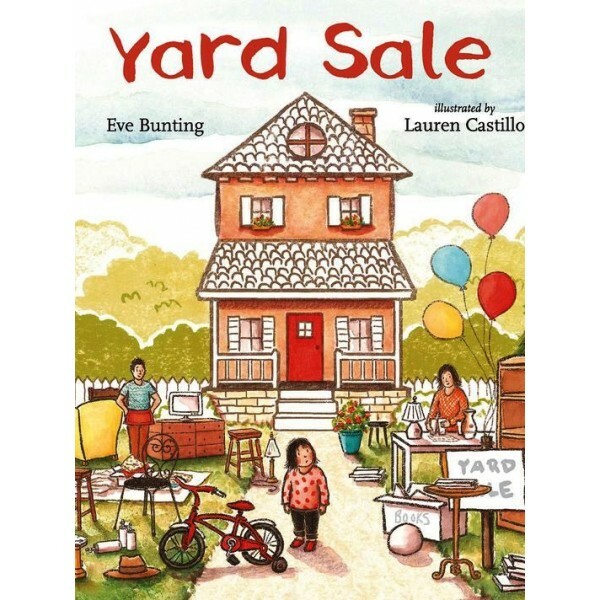 The new place is "small but nice," Mom says, and most of their things won't fit, so today they are having a yard sale. But it's kind of hard to watch people buy your stuff, even if you understand why it has to happen. 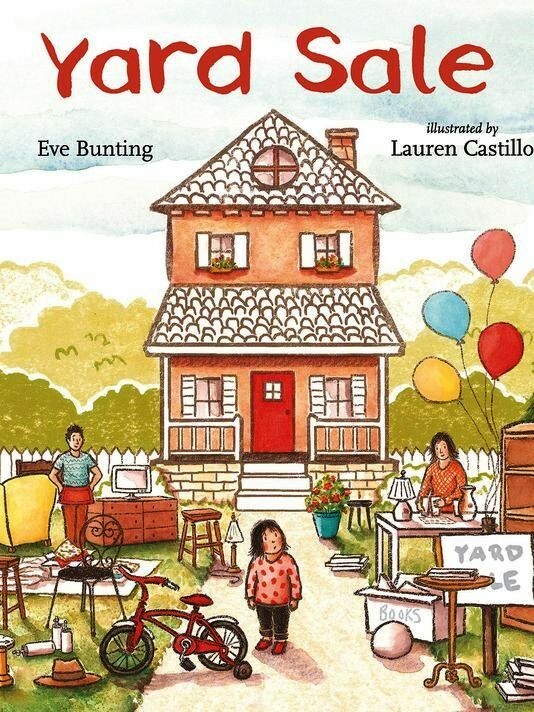 With sensitivity and grace, Eve Bunting and Lauren Castillo portray an event at once familiar and difficult, making clear that a home isn't about what you have, but whom you hold close.